Only one of every five federal transportation dollars are set aside specifically for transit. So it’s infuriating when a local government plunders the small pool of transit funds and spends it on roads. Particularly when that place has some of the country’s most notoriously car-dominated and dangerous streets. Ladies and gentlemen, I give you: Miami-Dade County, Florida. In 2002, voters approved a half-cent sales tax to fund the People’s Transportation Plan, an ambitious agenda including 88 new miles of Metrorail and 635 new buses. It was all to be overseen by a Citizen’s Independent Transportation Trust. Unfortunately, the way the legislation was written left far too much room to deviate from the transit message that was sold to voters. The county “didn’t emphasize that there would be any roadway or street improvement,” said Marta Viciedo, chair of the local Transit Action Committee, TrAC. “They had over 80 public meetings with the transportation plan. They really built this hype around Metrorail expansion.” But by slipping “roadway improvements” into the bill, they cleared the way for the half-cent tax to be a slush fund for any old transportation project. And that’s what’s happening. Construction of NW 87th Avenue between NW 154th Street and Miami Gardens Drive (NW 183rd Street). This is “way out where nobody really lives,” according to Viciedo. Constructing major ingress/egress improvements in downtown Miami, from SW 8th Street to SW First Avenue. This is basic resurfacing, but Viciedo says Florida DOT has been shirking their mandate to build bike lanes when they resurface streets, and she doesn’t expect that this one will be different. Creating viable reverse flow lanes on major thoroughfares. For cars, if that wasn’t clear. Not all the proposals are terrible. CITT also announced they’ll be accelerating the transition to ADA accessibility at bus stops and upgrading the traffic signalization system, which Viciedo says will give priority to buses. In 2008, city leaders admitted that they just weren’t going to be building all that rail anytime soon, promise or no promise. But they were going to build bus rapid transit in dedicated lanes. But it’s 2014, and the BRT scheme is just another broken promise in Miami-Dade. Deadlines keep being pushed back for service expansion. As for those 635 new buses, the bus fleet is now smaller than before the transit tax. The CITT, created to be a “champion for the citizen,” according to Viciedo, “does not function in any way like that.” She says CITT has very limited engagement and communication with the public. FDOT is still making all the decisions. Compounding the problem, the Miami-Dade transit department isn’t vested with any real power. 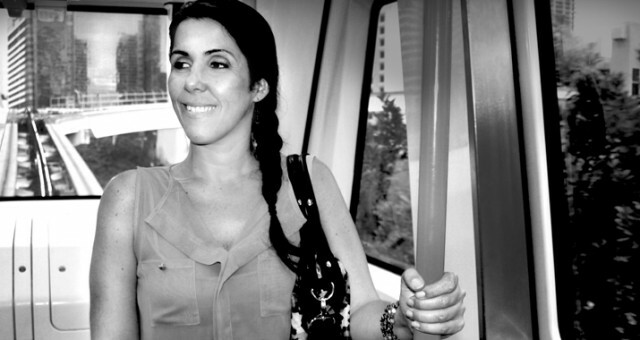 At a recent meeting on the alignment of a possible rail connection between mainland Miami to Miami Beach, the director of Miami-Dade Transit refused to give an opinion, saying it “wasn’t her place,” according to Viciedo. Even ad revenue from buses and bus shelters isn’t earmarked for transit. It goes right into the county’s general fund. The way Viciedo sees it, there are a few possible solutions. They can rewrite the legislation that authorizes the transit tax and the CITT, removing the option of road work and narrowly focusing on public transportation. They could create a real transit authority that operates with greater independence from the county and the state. They could rewrite the legislation that authorizes the Miami-Dade Expressway Authority, mandating that some toll revenues pay for transit improvements. But the power of the existing bureaucracy in Miami-Dade is daunting. Agencies are building roads with money taken from taxpayers to build rail. For Viciedo’s eminently reasonable suggestions to stand a chance, a popular revolt may need to happen first. I think MDX (Miami-Dade Expressway Authority) has their fingerprints all over this too. What a joke this is turning out to be. Really? Roads and more Lexus Lanes? No, we want what we voted for. Transit!! How about instead we build another stadium? haha…aren’t y’all talking about an MLS stadium for Beckham? Is there a way to create a petition to recall the half penny tax? Id be more than willing to start this up.